21 Foods to Avoid During Pregnancy - What Not To Eat When Pregnant? 21 Foods To Avoid During Pregnancy – Stay Away From These Foods That May Cause Miscarriage! Motherhood is such a blessing and at the same time such a delicate phase of a woman’s life that needs utmost care and necessary precautions so that a healthy, graceful baby is born. As you wait for the most precious moment of your life, here is the list of foods to avoid during pregnancy to make your sailing smooth and easy. 21 Foods to Avoid During Pregnancy – What Not to Eat When Pregnant? Most of the pregnancy issues arise because of lack of proper nutritional supply to the baby. Though some birth deformities may occur due to genetic issues and unfavorable environmental conditions for the fetal development, an improper care can impact your baby’s health to a large extent or hamper its growth. This list of foods to avoid during pregnancy is like a perfect checklist that helps you understand the perfect reason behind excluding these foods from your list. Why wait? Know the reason and be ready to strike off these unfavorable foods immediately! Are you a coffee lover? If yes, I know how difficult it is for you to stay away from caffeine at least for one day. But, knowing the reason behind why pregnant women are prohibited from drinking too much of coffee will make you think for a second behind gulping down those stress relieving sweetest mugs of coffee! An intake of more than 200mg of caffeine in a day can lead to the restricted growth of the fetus and this is how it happens. When you drink coffee, it can easily reach your growing fetus through the placenta (A tissue that connects the fetus to the uterine wall). As a completely developed organism, you may have the ability to metabolize the caffeine, but the fetus does not contain the required enzymes that will assist in the metabolism. A regular intake of coffee may result in the pile up of caffeine in the fetus which ultimately hampers the growth of fetus, resulting in the birth of underweight baby. # A small amount of caffeine is also present in soft drinks and cocoa powders. One common doubt that has been creating chaos is whether or not to consume raw eggs during pregnancy. The only reason why expecting mothers are prohibited from consuming raw eggs is that raw or undercooked eggs may contain a harmful bacterium called Salmonella that may cause food poisoning. The safety committee has however stated that the chances of raw or undercooked eggs being detected by the presence of salmonella are very low. So, the Advisory committee on microbiological safety of food claims that the risk of food poisoning is so little and that pregnant women should not be prohibited from consuming raw eggs. 3. Why Should Pregnant Women Avoid Eating Raw Meat? Before knowing the risk caused due to raw meat, I would like to disclose one important fact that is often ignored by many. As a pregnant woman, if you are looking for the best ways to nurture your baby with a proper care, you must essentially consider eating only cooked meat and not raw meat because the nutritional value of cooked meat is comparatively less than that of a raw meat. Coming to the major reason why raw meat stands in the list of things pregnant ladies should not eat is that raw meat may contain certain parasites like E. coli, Salmonella, Toxoplasma or Listeria. You can however consider eating whole meat or meat that is completely steamed and cooked with no indications of blood on the surface of the meat. The chances of food poisoning are usually rare during pregnancy unless you get infected with Toxoplasmosis, a disease caused due to the presence of Toxoplasma, a parasite that may spread due to contaminated water or undercooked or processed meat which makes raw meat one of the foods to avoid during pregnancy. The child may be born with neurological disorders that may prevail for a lifetime. With fish being one of the richest sources of Omega-3 fatty acids, the kind of fatty acids that are responsible for the development of healthy brain development in the growing fetus, you must essentially consider consuming fish, but to stay away from risks, here is how you chose which fish to eat! How Does a Fish Gather Mercury Into Its Body? Most of the water bodies can be detected with certain levels of mercury, the element that becomes toxic after combing with methane, leading to the formation of methyl mercury. High concentrations of this chemical may affect the neurological development of the child. However, you do not have to eliminate all the fish from your pregnancy dietary list. The problem is only with the fish that are high in mercury and we make the process of identification much easy for you. How Much of a Low Mercury Fish to Consume? 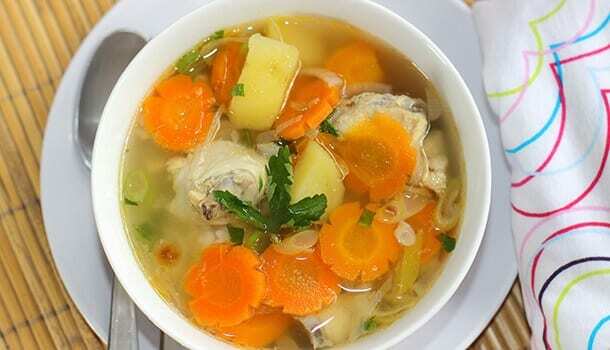 It is safe and healthy to consume eight to twelve ounces of low mercury fish for every seven days which accounts to two to three servings of fish per week. If you have to eat the fish from any local ponds or rivers, you can first check with the purity of the water or gather the required information from the authorities about the mercury content present in the water and then go for the fish. The quantity of milk that is usually recommended for pregnant women is 24 ounces per one day and the milk should essentially be low in fat for the healthy development of fetus and a good wellbeing of the mother but what is unpasteurized milk and why should you avoid drinking it? Difference Between Pasteurized and Raw Milk? 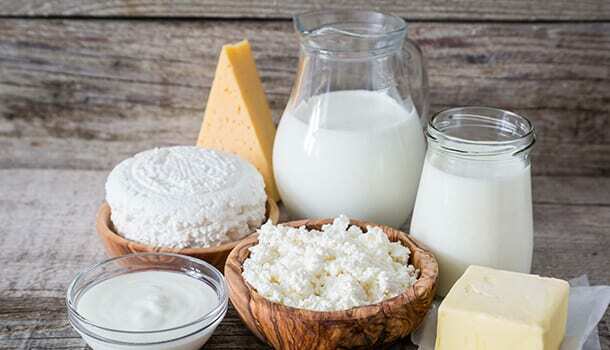 If you are buying the milk from the stores, you need not worry much because the milk has been heated up to certain temperatures to remove any kind of pathogens that may be present in the milk and the process is known as pasteurization. The milk that is directly bought from the farmers is usually the raw milk and there are high chances that you may get infected with the pathogens such as E. coli, Listeria, Salmonella or campylobacter which may cause some adverse effects on the health of the mother and baby. Pregnant women need to take a serious note of the type of milk that they are consuming because raw milk can cause lethal effects on the baby’s health. How to Identify Unpasteurized Cheese? The chances of raw milk being sold in the U.S are very low but there is a probability of coming across raw cheese that is unpasteurized. If the cheese appears too soft, creamier, brittle, easily breakable rather than being more hard and firm, chances are it has been prepared from raw milk. 6. Canned Foods are Essentially What Pregnant Woman Should Not Eat! Canned foods stand in the first place of the foods to avoid during pregnancy and not without this very strong reason that the cans in which the foods are stored are lined with a very dangerous chemical called bisphenol or BPA. The chemical is said to cause hormonal fluctuations in pregnant women, especially on their thyroid hormone. The chemical may also cause obesity in the children after they reach the age of seven. You must not only avoid foods stored in metal cans but also the foods from plastic containers to avoid any carcinogenic (cancer causing) effect on both mother and the baby. Stay away from canned foods at any cost because just one serving of canned items can show a large negative impact on your baby’s development and growth. 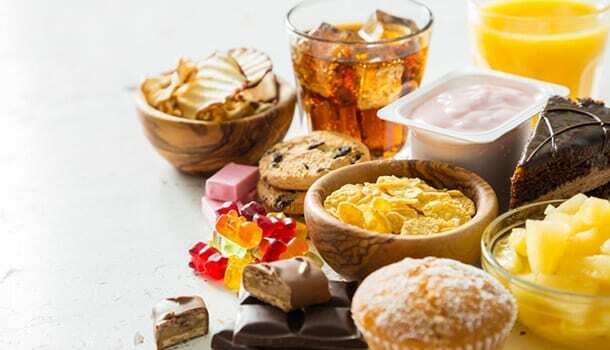 Junk and fatty foods are overloaded with such high amounts of sugars, you will end up inviting all the extra calories into your body, more than the required calories during pregnancy per day which will undoubtedly result in obesity in the newborn child. Not only this, the mother may develop a risk of being prone to gestational diabetes if junk and processed foods are not excluded from the list of foods to avoid when pregnant. Any foods that you feel are loaded with extra sugars are needed to be cut down immediately because you would only gain calories but not the essential nutrients that your growing baby required during such a crucial time of its development. How to Get Rid of Sugar cravings During Pregnancy? It is a matter of nine months and nine months may seem like such a long time when you cannot wait to get rid of the food cravings and frequent morning sickness, frequent throw ups, nausea, and vomiting. Consume more foods rich in folic acid like leafy greens, rice, citrus fruits, beans and legumes, cereals, eggs, asparagus, Brussels because it is the folic acid deficiency that causes sugar cravings. Perform some basic Yoga moves. 8. 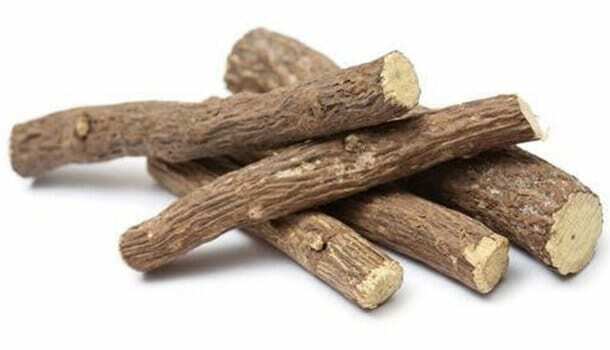 How Does Licorice Affect your Pregnant Health? Most of the pregnant woman are unaware of the impact of licorice on their pregnancy and here is what happens if you consume licorice during pregnancy. If you have ever heard of cortisol, you might be knowing that it is a stress hormone that should not actually be produced in excess amounts than it is usually required. (as this affects the neurological development of the growing fetus). There is an enzyme that controls the regulation and production of cortisol (turning cortisol into inactive mode before it reaches the fetus) which protects your baby from being born with any neurological disorders. But, licorice contains a compound called glycyrrhizin which inhibits the controlling activity of this enzyme thereby resulting in the excessive production of cortisol. Fetal alcohol syndrome is what your baby may develop if you do not stay away from alcohol when you are pregnant. The child can be born with a short stature, disfigured appearance, underweight, low intellect, abnormal behavior and poor hearing and visionary skills. Not only this, intake of alcohol during pregnancy can also lead to miscarriage or a condition called FASDS (Fetal alcohol spectrum disorders) which result in the damage to brain and other problems associated with growth and development of the child. 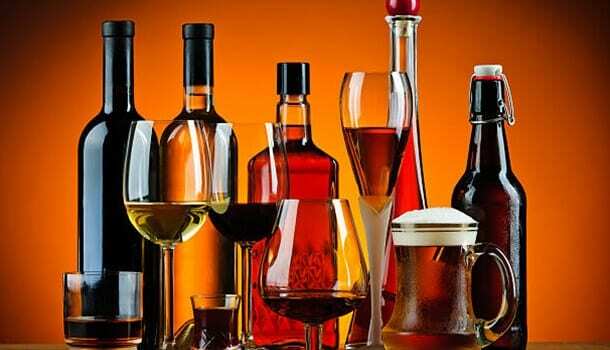 Consumption of alcohol even in small amounts can show an adverse effect on your baby’s birth and development. If you cannot resist yourself from drinking alcohol, it Is best that you take help and support from your partner and family members to resolve your problem. 10. Aloe-Vera – Good or bad? Being the most effective medicinal plant with amazing healing properties (anti-oxidant, antibacterial), Aloe Vera is best known for healing all kinds of health disorders such as constipation, canker sores, heartburns and also the promotion of a healthy immune system. Pregnant women are often recommended to stay away from drinking Aloe-Vera juice as this can cause an increased activity of uterine wall contractions. A continuous activity of uterine wall contractions can cause preterm birth of the baby which makes Aloe-Vera juice to be included in the list of foods to avoid during pregnancy. Drinking Aloe-Vera juice during pregnancy can also result in a dangerous drop in the blood sugar levels which may affect the baby’s health in the long run. There is no strict rule that green tea should be avoided during pregnancy or there is no evidence to say that green tea may show an adverse effect on pregnant women. Drinking green tea is safe as long as you are consuming not more than one to two cups of green tea per day. Overdoing the consumption may affect your health because green tea also contains caffeine content in very minute levels. So, a regular and frequent consumption of green tea (more than two cups per day) may result in the side effects as caffeine may gradually build up and affect your fetus since the it does not have the ability to metabolize caffeine. But, does this mean that you can grab on any fresh fruit that you wish to!? You must strictly avoid this because there are certain fruits that may negatively affect the fetal development. Here is the list of fruits to avoid during pregnancy and the strong reason behind doing so! You can go easy with any fruit that carries a sweet essence if you wish to gratify your sweet tooth, but not with papaya because here is what this tropical fruit may affect your health when you are pregnant. A proteolytic enzyme called papain that is present in the latex of unripe papaya can cause a severe uterine wall contractions and as we have already discussed, uterine wall contractions can lead to premature birth or can also lead to miscarriage in severe cases. The same is not true in the case of ripe papayas but it is not so easy to find a completely ripen papaya. So, a papayas are one of the major fruits to avoid when pregnant. This reason behind why pregnant women are prohibited from eating pineapples will make you include this fruit in to the list of foods to avoid during pregnancy. Bromelain which is an enzyme present in pineapple is responsible for making the cervix (A passage present at the lower end of the uterus) much soft which in turn results in the premature birth of the baby. You must also avoid drinking papaya juice to reduce the impact of bromelain on your cervix and prevent the preterm birth of the baby. 14. Are Peaches One of the Fruits to Avoid When Pregnant? A moderate consumption of peaches (two to three servings) per week may not have any side effects on your pregnant health. In fact, peaches are recommended for their excellent nutritional value of Phosphorous, dietary fiber, potassium, vitamin C, beta-carotene, folic acid and magnesium. But, there is one major drawback that is associated with peaches that makes this fruit one of those things pregnant ladies should not eat. 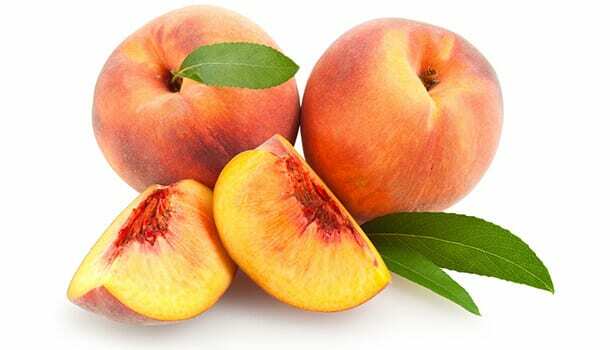 Peaches have been listed as the topmost fruits that are said to be contaminated due to the excessive use of pesticides among the twelve most popular fruits. Buying organic peaches can reduce the possibility of being affected because the impact of pesticides on organic fruits is usually less. This sweetest and nutritious fruit is highly beneficial for the stability of your overall health in general. When you are pregnant, it can instantly satisfy your sweet carvings but bring in many side effects on your pregnancy. (only when consumed in excess amounts and not in moderation). 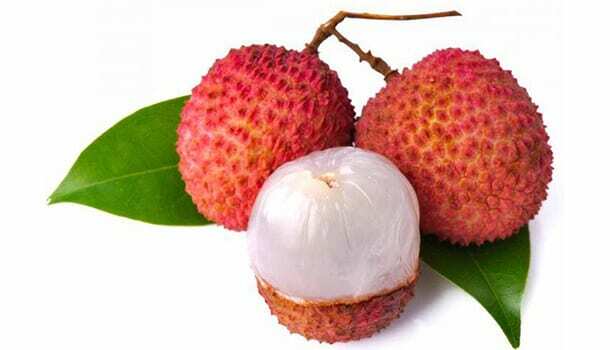 Consuming litchis in excess during pregnancy may cause stillbirth (a condition in which the fetus dies before delivery). Consuming litchis in excess can also result in the following side effects. Cause a low blood pressure that may result in the symptoms of excess fatigue, tiredness, poor vision, fatigue and giddiness. Almost all the vegetables are considered safe and healthy for pregnant women for their consumption but the allergic reactions towards certain foods may vary from one person to other. You can consult your doctor and get your general health checkup done to find out whether there is are any vegetables to avoid during pregnancy. The side effects of bitter melons on pregnant health varies from one person to another. Some women may develop certain side effects but some may acquire huge benefits from eating bitter melon. So, it is best to consult your doctor and confirm whether you can make use of these vegetables for obtaining some superficial health benefits for yourself and your growing baby. Though the side effects vary from one person to another, most of the health professionals say that bitter melons are the most common vegetables to avoid during pregnancy. This medicinal plant which is native to Brazil and Uruguay is most commonly used as a medicinal herb as well as a nutritious ingredient into the regular dishes. 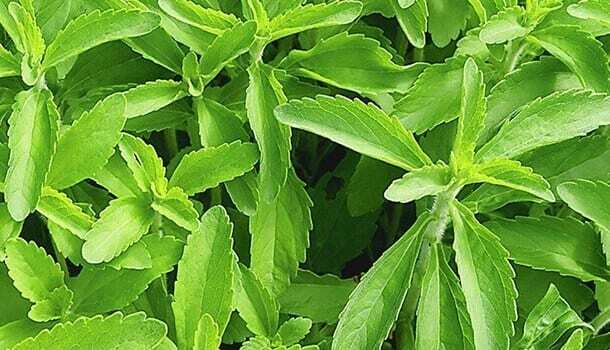 The herb is used to treat a wide range of skin infections, various neurological disorders, cardiovascular problems, urinary tract infections, and even diabetes. Why is Rose Moss One of the Foods to Avoid During Pregnancy? A frequent or excess consumption of rose moss may cause contractions to the uterine wall which may lead to the birth of premature baby. An abnormal consumption of rose moss can also cause the uterus to shrink which might cause a still birth. The presence of Papaverin in sweet leaves is the main reason why you should include the plant in the list of foods to avoid when pregnant. The presence of Papaverin in these herbal leaves causes the symptoms of diohhrea and may also lead to miscarriage or still birth in severe cases. However, these side effects in pregnant woman may show up only when the sweet leaf is consumed in excess quantities (more than thirty grams). 19. 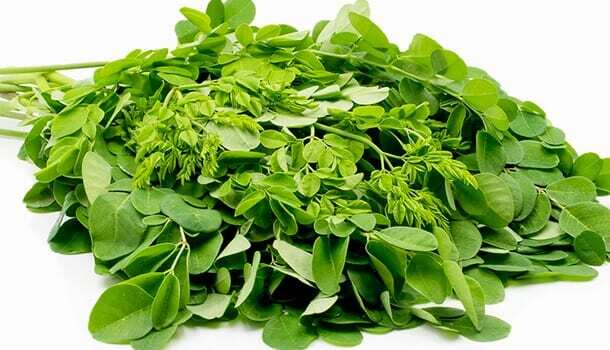 Is it Safe to Consume Moringa During Pregnancy? It is often a confusing question that makes most of the pregnant woman wonder whether it is safe to consume moringa during pregnancy. Some sources may claim that it is absolutely okay to consume Moringa during pregnancy but as a protective and concerned mother, it is always wise to play safe because you wouldn’t want to take the risk. The chemical compounds that are present in various parts of the plant may lead to miscarriage as they can cause the uterine wall to contract more. This herbal plant is a culinary herb that is used by people of Vietnam in most of their dishes. 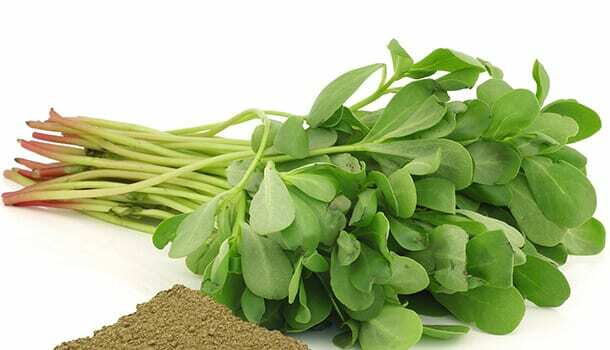 The herb is known for its strong aroma and is mostly used in spicy dishes. 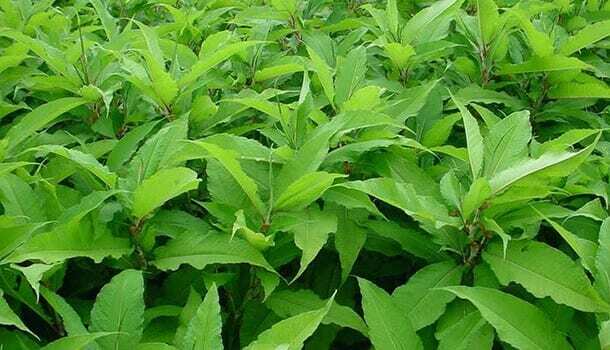 The consumption of fragrant knotweed during the first three months of pregnancy may cause bleeding. Moreover, the chemical composition of fragrant knotweed may also cause the uterine wall to contract more which is eventually going to cause a miscarriage. The herb is usually believed to generate more heat inside the body. Therefore, an excessive consumption of fragrant knotweed may take a negative toll on the most precious, yet delicate phase of your life-your pregnancy which makes the herb one of the most commonly recommended foods to avoid during pregnancy. Pregnant women are often suggested to stay away from the consumption of absinth which is commonly known as worm wood (especially when taken through mouth) because worm wood contains a peculiar ingredient called Thujone which is a ketone compound that may create a lot of dangerous symptoms in pregnant woman. 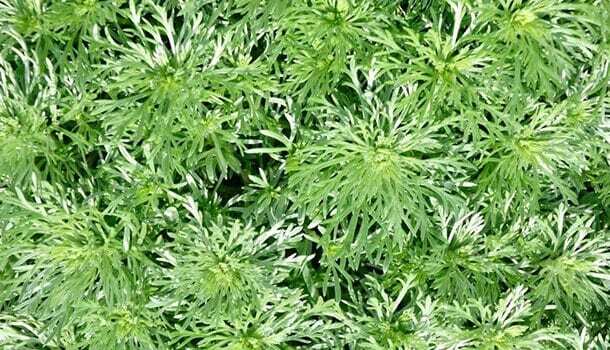 The herb may cause some serious symptoms like convulsions, retention of water inside the body, fatigue, paralysis, cramps inside the stomach, irregular heartbeats or even death. Pregnant woman who take worm wood by mouth can encounter the risk of experiencing miscarriage because the herb causes contractions in the uterine wall. The ability to give birth to another life is the most precious blessing a woman has been bestowed with, but as a responsible and protective mother you must essentially know what pregnant woman should not eat! This is because the difficulties and risks that are associated with pregnancy (miscarriage, stillbirth, birth deformities) are to be handled in a subtle way so that the baby is born without any chronic health issues. The above mentioned list contains all the foods to avoid during pregnancy to help you gain a clear understanding of what not to include in the list and prevent the chances of miscarriage, stillbirth and other side effects. Hope you handle this most beautiful aspect of your life with care and cherish every moment of this subtle journey to give birth to a healthful, strong, and a graceful baby!